On both state and national tests, Idaho’s public charter school students exceed the academic performance of their district counterparts, including students from traditionally underserved communities. With such strong student achievement results, shouldn’t these schools receive the same amount of money as traditional public schools to build new buildings or rehabilitate old ones? Unfortunately they don’t. On average, in fact, they receive roughly a third of what district schools do, and they are having to come up with creative ways to cover that gap. 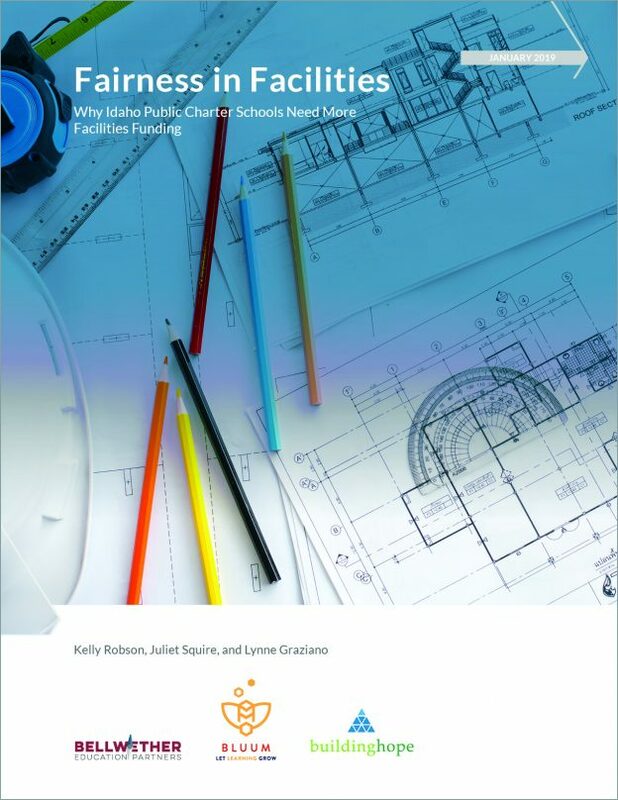 Our latest report, Fairness in Facilities: Why Idaho Public Schools Need More Facilities Funding, finds that while district schools receive $1,206 on average per student from state and local funding facility streams, Idaho charter schools receive just $445 in state funding, without any local funding. As Fairness in Facilities details, lower charter school facility funding forces school leaders to make difficult choices, like cutting extracurriculars or support services, or making creative arrangements with other nonprofits to share facilities. And in Idaho, the nation’s fastest-growing state, the problem is not going away. Enrollment in Idaho public K-12 schools has increased by nearly 50,000 students over the last 15 years. In the charter sector, enrollment has doubled from roughly 11,000 in 2008 to around 22,000 in 2018, with those students attending one of 52 Idaho charter schools. Thousands of students are on Idaho charter school waiting lists, adding to the demand for new facilities. Expand what has already started: Idaho could enhance the Charter School Facilities Program created in 2013. Funding from this program has increased each year, currently providing $370 per student, contributing to the $445 total per student mentioned above. While this is helpful to charter schools, our analysis in a previous paper found these schools averaged per-student facility costs of $751 in 2015-2016 and presumably more today, leaving an existing gap that can seem insurmountable, particularly when building a new school or buying property. Borrow an idea from nearby states: Moral obligation bonds are a type of credit enhancement states such as Utah and Colorado have used to provide financing for high-performing charter schools. These bonds are backed by the state, which commits to repay a bond if the charter school defaults. If Idaho implemented this recommendation, it would provide qualified charter schools access to the bond market at competitive rates. Share the local bounty: Idaho districts such as Boise and West Ada have secured hundreds of millions of taxpayer dollars for facilities in recent years while local charter school operators have to use difficult and often fiscally challenging methods to purchase or construct facilities. Charter schools could be included in local school districts’ bonds and levies. Colorado has passed legislation which requires school districts to account for charter schools’ facilities needs as well as their own. Idaho could pass legislation similar to Colorado’s, distributing bond and levy dollars to all public schools within a community. Fairness in Facilities looks specifically at Idaho, but these issues affect many other states as they navigate funding public schools of all types. Allowing high-quality charter school operators to access equitable facilities funding could provide much needed seats for Idaho’s students and provide a model for other states to emulate. This entry was posted in Charter Schools, Education Policy, Equity, School Funding, State Education Policy and tagged Facilities, Idaho on January 15, 2019 by Lynne Graziano.